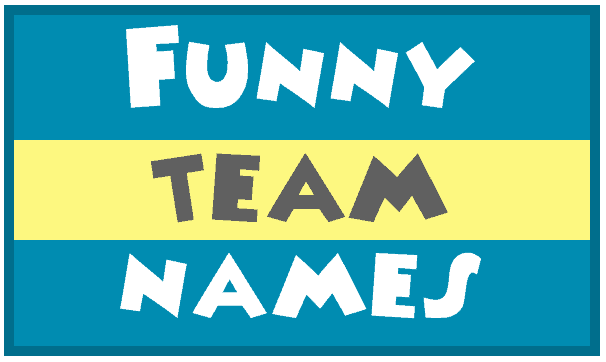 What makes funny team names something to get a chuckle over is subjective. That’s why we’ve given you lots of choices on this list. 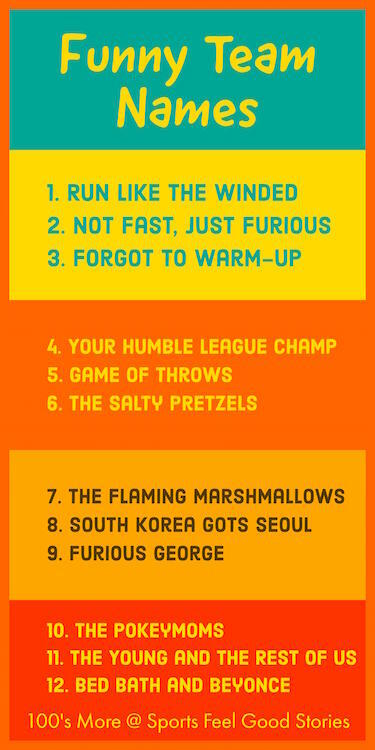 Take a look and see is one of these tickles your funny bone. Or, maybe, one will inspire you to come up with a name of your own. The Mighty Morphin Flower Arrangers. Check out the Power Rangers’ story. The Has-Beens and Never Were. The Stepdads (we beat you and you can’t stand us). A Team with No Name. Our Nemesis (When other teams ask, “Who are you playing?”). You might like creative group names for girls. We Who Shall Not Be Named. We will destroy you and burn your village. If you have any suggestions for our page, please let us know via the Contact page. Or, comment on your favorite. Thanks.